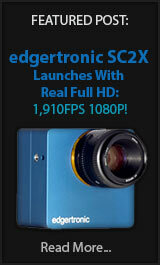 The downside is that it lacks 4k for one thing and any other frame rates besides 30fps full HD. It does do 12MP still images with good dynamic range and color accuracy which could become the best use of the drone for markets such as real estate, surveying and aerial imaging that is ready at any moment without the bulk. The DJI Mavic Pro is a great drone but it fell in 4k quality compared to the DJI Phantom 4 and 4 Pro drones. The codec is lower quality and the fast motion plus detailed shot combination can easily cause macro blocking in the codec. Still, the Mavic has 120fps at 720p and 1080p at up to 96fps. The Spark is limited to 30fps 1080p, you will not have 24p, 25p or other intermediate format options. The Drone is not made for filmmakers but caters to the selfie/fun crowd with its low price and hand control. The maximum bit rate as you can see is 24mbps which for 1080p is not bad when implemented well. Looking at the samples it is clear the camera has good noise control, respectable dynamic range and color accuracy that seems to be better than the Mavic Pro. 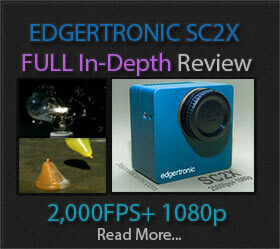 You will get a good 1080p 30fps image with the Spark and if that is good enough for your needs it is a no brainer. The camera gimbal is only 2 axis, which means the camera will be stabilized mechanically but not behave smoothly on choppy flights compared to 3 axis gimbal solutions like the ones on the Mavic and Phantom 4 drones. The Spark will ship June 15, 2017 and will have a $499 Price tag. You can pre-order it directly from the DJI store here! Previous PostChronos Production Update 6 Shows Assembly Process!Next PostPanasonic GH5 vs Red Epic Slow Motion!